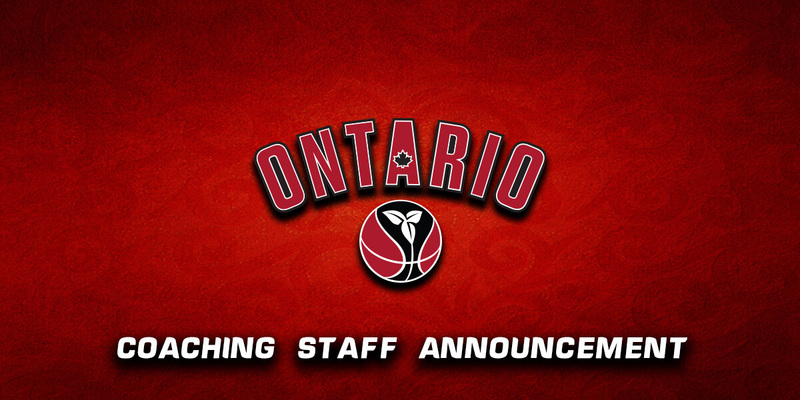 Ontario Basketball is pleased to announce the 2019 Team Ontario coaching staff for the U17 and U15 Boys teams and the U14 and U13 Boys development groups. After winning bronze at the National Championships last summer as an assistant coach for the U17 Boys, Omar Miles was named head coach of this year’s team. Miles brings eight years of high school coaching experience, including three OFSAA medals. He is currently in his third year as the lead assistant coach for the number two nationally ranked Humber Hawks of the OCAA. Miles is joined by returning coaches Kevin Barnes (Southwest Academy) and Dave Bethune (Toronto Triple Threat). New additions this year include assistant coach Michael Selliah (Canada Elite) and apprentice coach Doros Theodosiou (Waterloo Wildhawks), who both coached the U15 Boys to a gold medal at National Championships last year. Jeremie Kayeye is head coach of the U15 Boys for 2019 after serving as assistant coach last summer. Kayeye brings a plethora of experience to the position, including assistant coach with the NBL‘s Mississauga Power and head coach of their development team as well as Raptors 905 basketball operations assistant. Kayeye led TRC Academy’s women’s team to an OSBA finals appearance in 2017, and he currently coaches RISE Prep in the OSBA. Assistant coaches Marlon Greene (Newtonbrook S.S.) and Jermain Holness (Ryerson Rams; Hoops Canada Elite) return from last season’s U15 squad, joined by apprentice coach Bob Messam (Toronto Triple Threat). Assistant Coach Marlon Greene* Brampton Newtonbrook S.S.
Davidson Sanelus takes the lead of the U14 Boys development group following last summer as assistant coach of the team. Sanelus has eight years of coaching experience, including coaching Canada Basketball’s Junior Academy program, Ontario Basketball’s Centre for Performance program and Evolution Basketball, a grassroots program that he established in Ottawa. Sanelus will be joined by assistants Octavio Guibao (Blessed Sacrament), Greg Hamilton (Central Peel S.S., Centennial College, Jr. Academy, CP), Kavishan Pathmanathan (MUMBA) and Daren Pemberton (Gloucester Wolverines). The first head coach of the new U13 Boys development group is Deluxshan Pathmanathan. For the last four years, Pathmanathan has been lead assistant coach of the OCAA‘s Durham Lords. Last year, Pathmanathan was an apprentice coach for the U14 Boys team and head coach of the Kawartha Region team that competed at the Ontario Summer Games. He has also been involved with Canada Basketball as part of Junior Academy and U17/U18 national team tryouts. His staff is rounded out by assistants Bill Price (John F. Ross C.V.I. ), Paul Coley (The Performance Group) and Mike Simonetta Jr. (Western Mustangs). Assistant Coach Bill Price Guelph John F. Ross C.V.I. The U15 and U17 Boys will compete in the annual Canada Basketball National Championships this summer in Fredericton from August 5–10. Three centralized tryouts (East, West and Central) will be held at the end of February and early March. Dates and locations will be announced and posted on the U13/U14 Boys, U15 Boys and U17 Boys Team Ontario pages. Team Ontario consists of the top male and female basketball players in the province, and the teams are a continual medal favourite at the annual U15 and U17 Canada Basketball National Championships. Team Ontario’s coaching staff also represents some of the top coaches in Ontario. Between the four teams, Team Ontario has won gold at over 70% of the national championships since 2002. To help maintain Team Ontario’s winning tradition, the U13 and U14 development teams prepare young players to compete at the provincial level. Written on 2019-02-11, in News.